Welcome to The Laneway Blog! We’ve put some time and thought into creating a blog that will be both interesting and relevant to you (The Laneway’s clients and friends) in the long-run. We didn’t just want to focus on products, or simply on hair – instead, The Laneway want to create a forum for clients to learn, read and share ideas about a range of topics. Fashion, business, networking, hair, amazing new product you’ve discovered. It’s all on the agenda. So – we thank you for your support and we look forward to being in touch with you more regularly! To make sure you don’t miss any of our blog updates (don’t worry, it’s not every day!) make sure to click the ‘subscribe’ button in the right column. To kick things off, we’ll be doing a focus interview on The Laneway’s Paula Kelso (photo inset, above). Many of you will already know Paula from our Brighton East location, but we thought to give you a bit more background on this dynamic industry leader. This interview also appeared on Business Chicks, where Paula was fortunate enough to be a featured member. 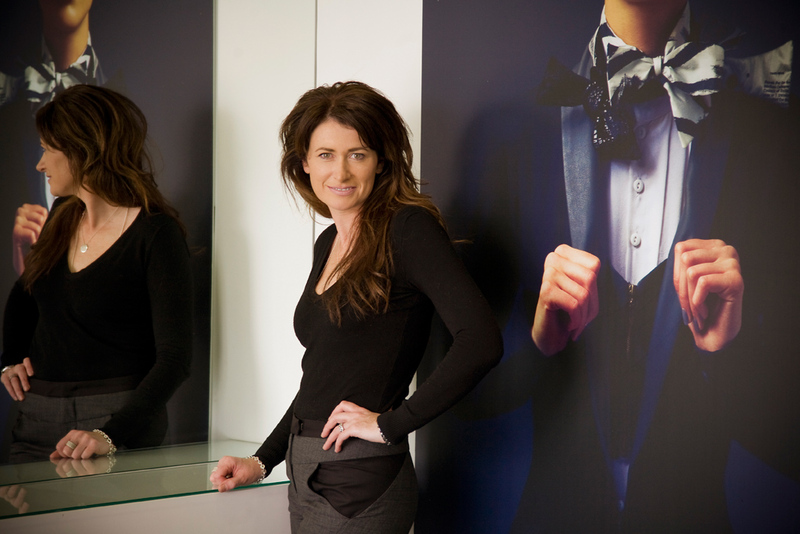 Next week we’ll be focusing on Katie Head, Director of the Mordialloc salon. I started my apprenticeship in Adelaide in 1989. As a 2nd year apprentice my boss, Debbie, won a once in a lifetime opportunity to do an Advanced Cutting Course in LA with Vidal Sassoon followed by a flight to London to do a Toni & Guy course. It turned out she couldn’t go at the last minute so she asked me. I remember thinking what an amazing experience for a 19 year old, giving me an incredible start. I will always be grateful to Debbie. In 1993 I finished my apprenticeship. Soon after I went back to London and managed an up and coming salon in the prestigious Canary Wharf District. After 2 years of working and travelling overseas I returned home to focus on starting my own hairdressing business. In 1996 I opened the doors to my first salon. I named it The Laneway. Since then the growth has been phenomenal, we have 10 highly motivated team members who all contribute to making The Laneway not just a good salon but a great salon to work in. I am always so proud of our achievements and am very excited about our new Mordialloc location. It would have to be the time I worked in an Italian restaurant in Adelaide. I was doing my apprenticeship at the same time and worked double jobs to make ends meet. The restaurant was very disorganized and treated their staff badly. I will always remember the total chaos and the excruciating pain of finishing at 2 or 3 am and then going to work at the salon the next day. I only stayed for 3 months – that was enough! My business inspiration is my Mum, she has been in business her whole life and has guided all her children through the trials and tribulations of business life. She always gives us her opinion and most of the time she gets it right. She is a great believer in taking a “punt” and is always there as a sounding board. I think the reason I am not afraid to takes risks is because I have her unerring support and belief. Another person who inspires me is Jose Bryce –Smith, the founder and CEO of Original & Mineral. Jose is so motivating, she is one of those proactive folks who is ahead of the rest when it comes to social media marketing, I have learnt so much from her. O&M products are low in ammonia, chemical free and the packaging is amazing. We’re doing an O&M giveaway on our official The Laneway Facebook page – click here to ‘like’ us and be in the running!